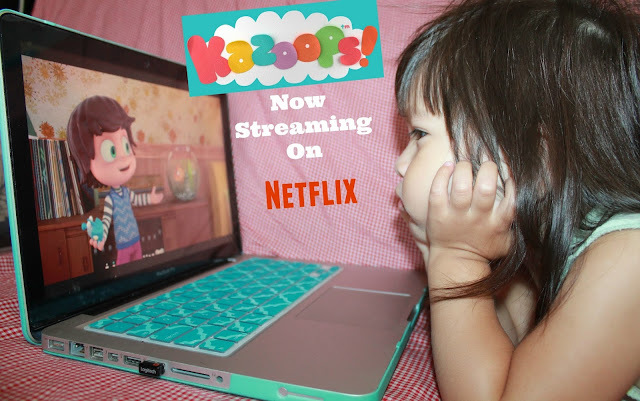 Home / Kazoop / Netflix / Pre School / Review / Reviews / Tv show / Young Kids / Kazoops New Pre-school Show Now Streaming on Netflix! Kazoops New Pre-school Show Now Streaming on Netflix! Disclosure: This post is part of a sponsored campaign by Kazoops. I received compensation for my participation, but my review and opinions are my own. 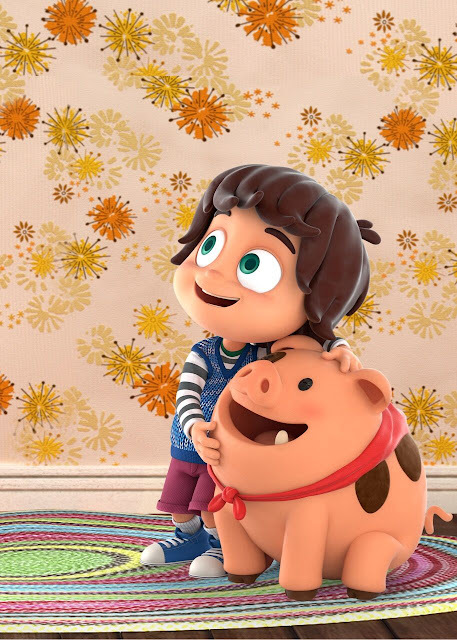 and follows the adventures of 6 year old Monty and his best friend Jimmy Jones, the family pet pig. Each episode last about 19-20 minutes and is broken up into 3 mini episodes. You have to love a show that promotes imagination, critical thinking skills and the importance of family and friends. Kids will love the bright colors and fun music that each episode brings. Each imaginary adventure is accompanied by it's own unique song that tells the story and helps guide us on Monty's and Jimmy Jones journey. 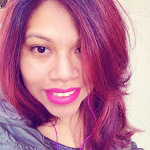 The songs are vibrant, cool and fun with a variety of styles that will make you want to dance, laugh and sing. The words are really important too because they tell us about the new perspectives Monty discovers along the way. You can see by Valentinas face that she loved joining her new friends in their fun adventures. She was sitting down the first time that she watched the episode but the second time around she was dancing and singing with Monty. When Monty see's something that makes him wonder is when the real adventure begins. "Kazoops Jimmy Jones!" is the magic word that is used to let you know that Monty's imagination is firing up and he's ready to take us all on in adventure. After he tells Jimmy Jones what's on his mind, it's time to close your eyes and say the words "just imagine". Get ready to join them while they go to faraway places, meet new friends and explore the preconception that got him wondering in the first place. Monty uses his imagination and goes on lots of fun adventures but knows that after each adventure it's time to go back to reality. After the episode Valentina had a bunch of questions and I loved how Kazoops helped promote that, I also loved that Valentina wanted to go on her own adventure afterwards. Together we went to outer space to explore the planets and stars, definitely one of my favorite parts about being a parent is being able to share these fun adventures with my little one. Each new episode also brings a new lesson, like the one they learn in the first episode about the notion that "you can only have one best friend"
I'm sure that after all this talking about Kazoop, you want to take a look at what I'm talking about. How cute is Monty and his family?! Are you ready to go join them on their adventures? Make sure to go check them out on Netflix starting today and if you are not subscribed to Netflix then you need to go sign up now. 18 comments on "Kazoops New Pre-school Show Now Streaming on Netflix!" This is my first time hearing about this show, but I know that my daughter will love it. Thanks for the heads up! What a cute and fun show for the littles. I am sure my twin granddaughters would love this. That sounds like a really cute show for the littles. I am going to have to tell my SIL about this because she has 2 preschoolers. Looks like a darling show for sure. I'm always on the lookout for new shows that will engage my kiddo...and she loves piggies! What a fun show. your little one looks to be really loving it. Your little sweetie looks pretty entertained with this new program! It's fun to discover things our kiddos like! Aw what a cute show. My mom does a home daycare and she has toddlers they would love this show! This show looks so cute. I'm going to have to share this suggestion with my sister and brother. They have little ones who would just love to watch Kazoops. This looks awesome! I'm gonna have to watch it with my nephews.. we always watch tv shows and movies together on the nights they sleep by me! I had never heard of this show until recently. I know that 4 year old daughter will love, so we'll definitely be checking it out sometime soon! This is what I appreciate about Netflix, they have so many shows for kids especially when it comes to learning and play. This sounds like an awesome show! This looks like a really cute show that I need to check out. I am sure that my three year old would love it! What a wonderful show. I will show this to my son and I am so sure that he will be watching out for this show. The characters in this cartoon look so cute! No wonder kids love them so much! This looks like such a cute show! I love that Netflix is coming out with so many new kid shows like this. I like the title Kazoops, sounds unique and adorable. 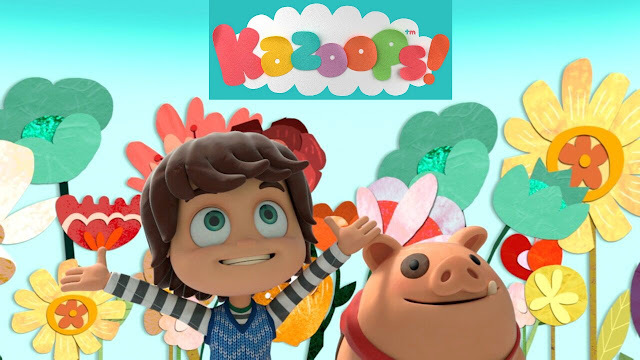 Netflix has a great selection of shows for kids, and Kazoops is another nice one to add. Omg what a cute show!!!! I bet my daughter would love this. Definitely going to be checking this out!